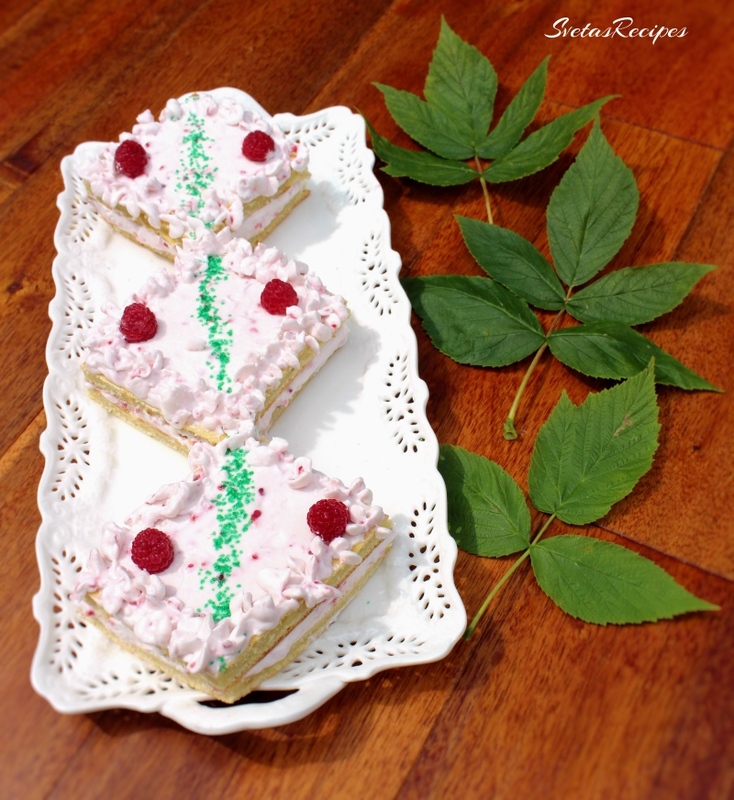 Raspberry mini cakes with filling that taste phenomenal. If you enjoy making cakes that this will be a great way to start and its very easy to follow our step by step directions. 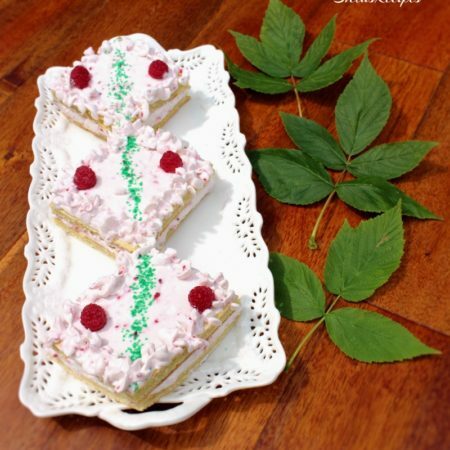 This recipe was originally combined of different mini cake recipes that I saw at weddings and parties. Though It took a long time to come up with a perfectly working recipe It was definitely worth it. You may have also wondered how the famous wedding mini cakes are made. So I have come up with this easy step by step recipe to help you out. If you enjoyed these many cakes than you can check some others out on the category Desserts. If you’d like a similar recipe make sure to check out AlyonasCooking. 1.) 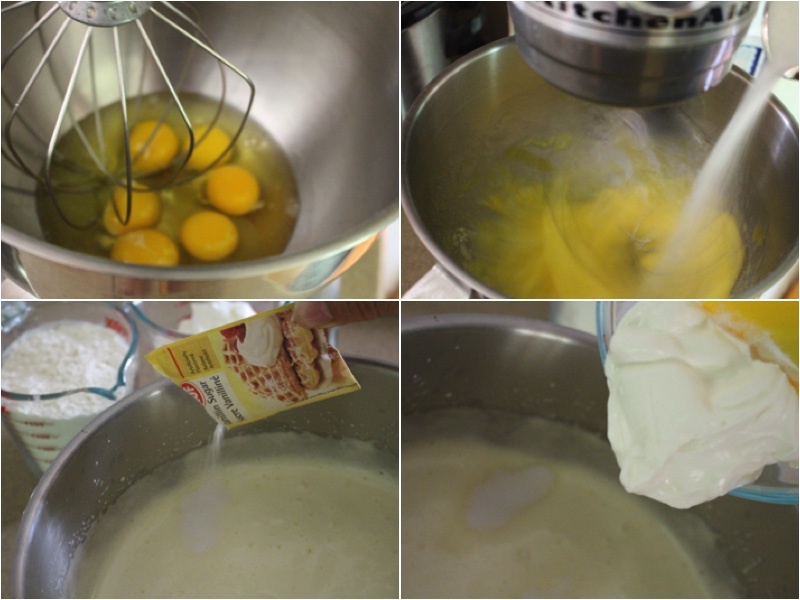 Mix your eggs on medium speed while adding sugar until it has become 2 times the size. Once done mixing add your vanilla sugar and sour cream, Mix well with a spatula. 2.) Pour your sifted flour into your mixture and mix well. Lay out parchment paper onto a cookie sheet and pour your mixture in. Spread your mixture evenly through the pan. Bake for 25 minutes on 350F. 3.) 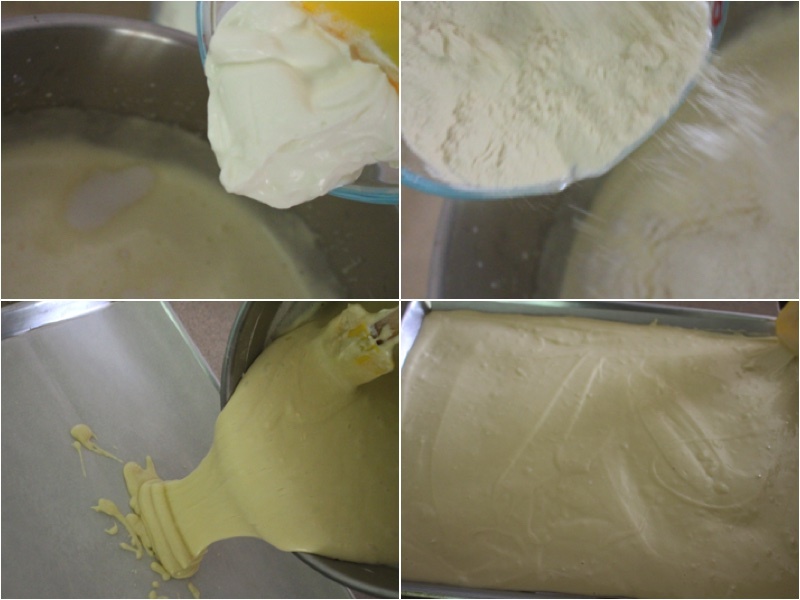 Mix your heavy cream with cheese cream. 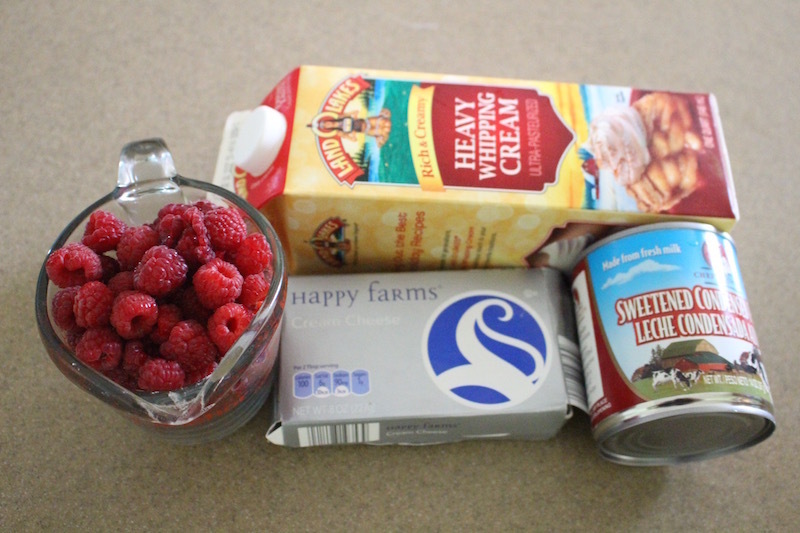 After add condensed milk and washed + mixed raspberries and mix on a medium speed until it’s a light pink cream. 4.) Take out your cake layers and let it cool off. After cut your layers into 16 evenly cut pieces. 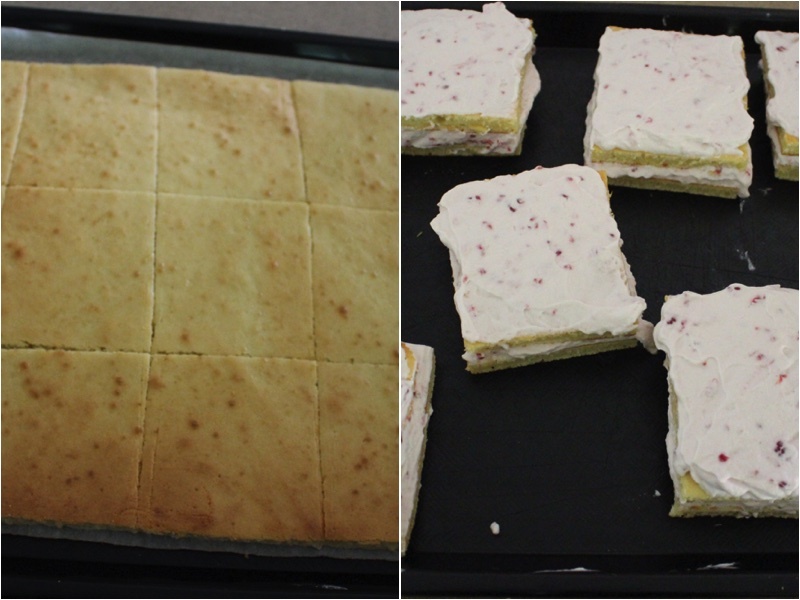 Place one layer and spread you’r filling on top and then add one more layer and more filling on top. NOTE: If you’d like to you can add different decorations and berries to you’re filling! Print Or Save The Recipe Here! 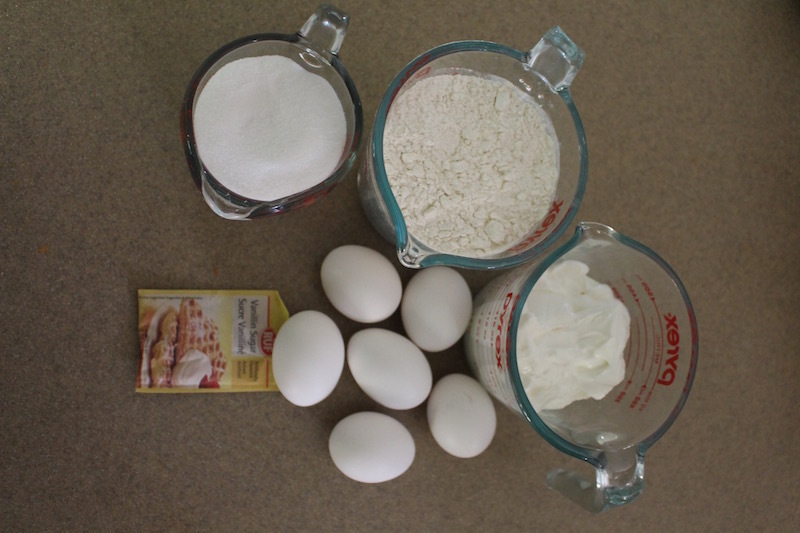 Mix your eggs on medium speed while adding sugar until it has become 2 times the size. Once done mixing add your vanilla sugar and sour cream, Mix well with a spatula. Pour your sifted flour into your mixture and mix well. Lay out parchment paper onto a cookie sheet and pour your mixture in. Spread your mixture evenly through the pan. Bake for 25 minutes on 350F. Mix your heavy cream with cheese cream. 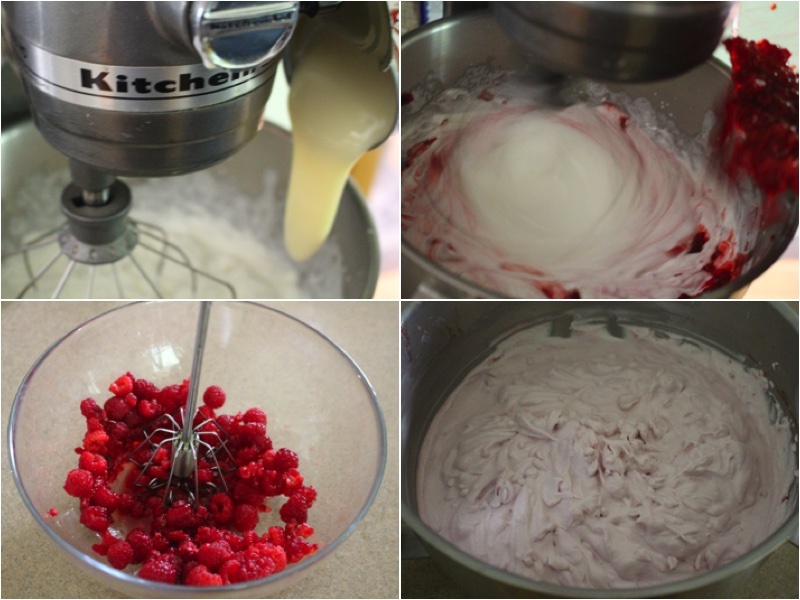 After add condensed milk and washed + mixed raspberries and mix on a medium speed until it's a light pink cream.